Mobile devices have become a key tool for businesses today, providing an innovative and efficient way to get the job done. Simultaneously, it has also introduced a number of security risks that must be addressed. IT professionals must work with users to discover the best ways possible to secure mobile devices and mitigate risk. 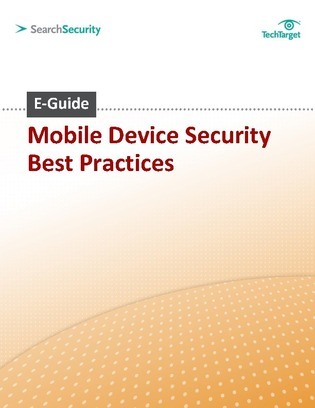 In this expert guide, uncover some of the best mobile security practices and how to balance security and end-user morale.